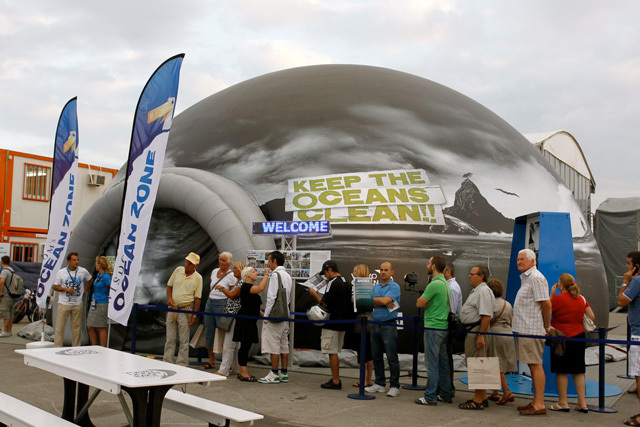 Alicante’s Puerto de Salida opened the doors to the public, welcoming the world to the first of the 10 host ports in the Volvo Ocean Race 2011-12. The Skeleton Sea exhibition with six of the highlight sculptures, like the new Abyss, the Roxy Mermaid and the Cold blooded Horse were just ready on display right in the main entrance tent. 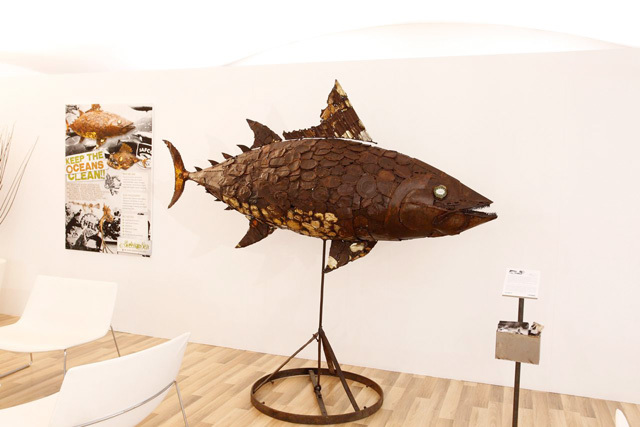 Skeleton Sea´s Tuna fish together with ten art prints are displayed in the VIP lounge of the Volvo Ocean Race house. Many visitors were very pleased to see our film, the Albatross Exhibitionist together with the sculpture inside the Cinema Dome. The official opening ceremony included a presentation of the six teams competing in the race and culminated in a grand fireworks display. The first weekend saw the start of the Academy Team Racing Clinic, offering youngsters from sailing clubs across the region to compete against each other in single-handed Optimist dinghies. The clinics ran from 1230 to 1730 each day, with a price giving ceremony at 1600 on Sunday. 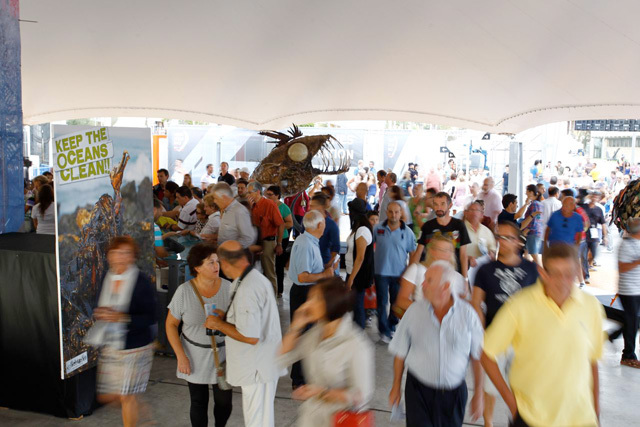 The 40,000 square metre Race Village is brimming with activity including concerts, shows, exhibitions, sailing clinics, rides and firework displays. 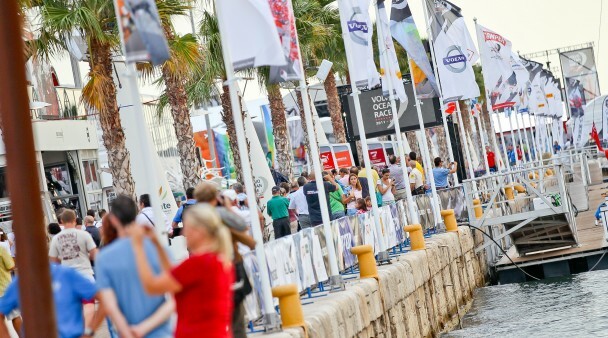 Of course, the center piece of the Race Village are the six 70ft Volvo Open 70 yachts and the crews that will race them 39,000 nautical miles through the world’s toughest oceans.